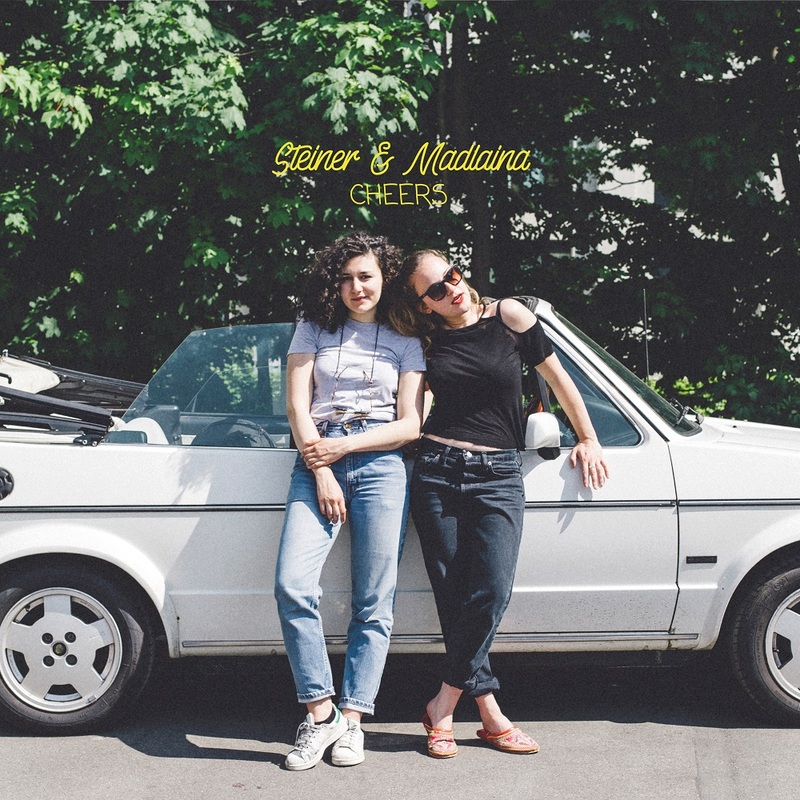 We're more than happy to announce that Steiner & Madlaina will release their full length debut album entitled 'Cheers' on Glitterhouse Records. They released the digital EP 'Speak' in 2017 followed by extensive touring. Steiner & Madlaina were born and raised (and still live) in Switzerland, which is essential to 'Cheers'. The album summarizes the ambivalent circumstances and emotional rollercoasters that come with living in a privileged, wealthy country – but at the same reflecting on it on numerous levels. The album title isn't merely a drinking toast; it's also a welcome or a farewell, a beginning and an end. Nora Steiner and Madlaina Pollina are young and gifted songwriters with the talent to tell stories –some of them are full of hope and dreams, most without a happy end. Their songwriting certainly isn’t just abiout the insight or introspection – it is outspoken, clever and poetic. They create an impressive and reflective image of our present time. Departure, light and darkness, courage and angst. Oh, and did we mention yet that four of the songs on “Cheers” are in English, five are sung in German and one in Swiss German, their native tongue? Indeed – as if this wasn’t challenging enough, they throw Greek and Italian songs into their live-sets when they feel like it. Musically they express themselves through their very own interpretation of Indie Pop that might remind one of artists such as First Aid Kit and Boy but there’s a deep texture that resembles Emily Jane White’s delicately dark songs as well. At one time 'Cheers' sounds calm, lovely and in a flow, the very next moment it builds up to a mighty soundscape - just to brake sharply again. Analogue sounds and surf guitars create a warm and charming 60ies atmosphere. All 10 songs come in full and shine band arrangements but are focused on the voices of the two main players. “Cheers” is an incredibly impressive debut-album.